Serbian Siepa (Serbian investment and export promotion agency) has supported NCR Corporation to establish Services Center of Excellence in Belgrade, Serbia. NCR, headquartered in Georgia, US, made $5.44 billion in revenue last year, and employed 23,000 people. The company will hire up to 300 technical service support employees, and will invest Euro 3.8 million in the country’s operations. In case the exact location is of interest, it will be based in Sava Grad, as press release modestly describes it “ultra-modern smart building”. The center will provide support on a number of European languages, including Dutch, English, French, German, Greek, Hungarian, Italian, Spanish and Turkish. This is a big win for Serbia, whose government offers tax incentives for foreign direct investors in the country. If a company creates minimum of 50 jobs in the Automotive, Electronics or IT industry in regions of special interests and invests Euro 500,000 or more, the country’s government will offer between 5,000 and 10,000 Euro in tax incentives per job created. For outsourcing service providers, who market their services internationally, the minimum headcount requirement is 10 people, Euro 500,000 investment into any Serbian region, which will result in Euro 2,000-10,000 grant per job. For investments over and above Euro 200 million, which will create over 1,000 jobs within 3 years, Serbian government might contribute 20 percent of the investment. 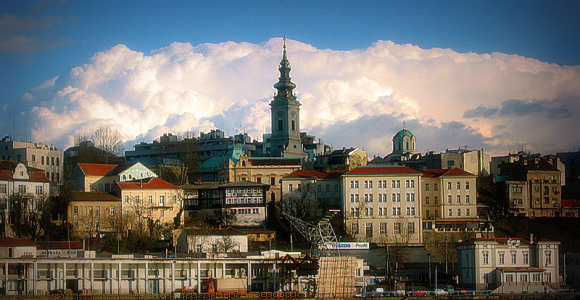 Earlier in 2011 Sitel has established its multilingual call center in Serbia. The only downside of employing people in Serbia is payroll tax which may increase the total cost of employment by 70 percent, but still the terms are quite generous, and low salary base does partially compensate for a relatiavely high payroll tax. Further information on Serbian government providing support to the outsourcing companies can be found here.